Christy on Sierra Snowfall over the last 130 years – no trend, no effect from CO2 | Watts Up With That? Better late than never, we got a little bit busy this week. John Christy, the Alabama state climatologist who authored the study, said the amount of snow in the mountains has not decreased in the past 50 years, a period when greenhouse gases were supposed to have increased the effects of global warming. The heaping piles of snow that fell in the Sierra last winter and the paltry amounts this year fall within the realm of normal weather variability, he concluded. HUNTSVILLE, Ala. (Feb. 14, 2012) — During some winters a significant amount of snow falls on parts of California. During other winters — like this one (so far) — there is much less snow. But more than 130 years of snow data show that over time snowfall in California is neither increasing nor decreasing. The analysis of snowfall data from as far back as 1878 found no long-term trend in how much snow falls in the state, especially in the critical western slope of the Sierra Nevada mountains, said John Christy, director of the Earth System Science Center at The University of Alabama in Huntsville. This line of research was spurred by recent concerns that snow in the Sierra Nevada mountains had decreased in recent years, perhaps due to man-made climate change, Christy said. Those worries, however, were not supported by credible, long-term data. A native of Fresno, Christy wondered if the snow he remembered covering the Sierra Nevada’s peaks is actually disappearing. His preliminary investigation found a potentially useful set of data: Records of snow measurements at stations along the Southern Pacific Railroad. The railroad data was coupled with data from other sources, including hydro-power and regional water systems vitally interested in knowing how much water would be available from snow melt. Other data was collected from logging and mining companies, as well as National Weather Service stations and volunteers. That data had already been digitized by the National Climatic Data Center. Christy divided the state into 18 regions, based on the amount of snow that falls and on the quality of the records for that region. Global warming theory says rising temperatures might reduce snowfall in some areas, while snow might increase in others. That sounds counterintuitive, but it does make sense: At lower, warmer elevations rising temperatures raise the altitude of the snow line, potentially reducing snow fall at lower elevations. Warmer air also can hold more water vapor than cold air, so rising temperatures should increase the amount of water vapor available for snow and other precipitation. In high elevation mountain regions where winter temperatures would be below freezing even if they rise two or three degrees, snow would still fall. Those still-cold temperatures combined with the extra water vapor suspended in the warmer air could increase snowfall at higher altitudes. Looking at both the 130-year record and the most recent 50-year record — which includes the 1975 to 2000 period when global temperatures rose — the California data show no long-term changes in snowfall in any region. “California has huge year-to-year variations and that’s expected to continue,” said Christy, a graduate of Fresno State University. “California is having a snow drought so far this winter, while last year the state had much heavier than normal snowfall. But over the long term, there just isn’t a trend up or down. In earlier research, Christy also showed no long-term warming in the Sierra Nevada mountains. Monthly snowfall totals from over 500 stations in California, some of which date back to 1878, are examined. Most data were accessed through the NOAA archive, but several thousand station-months of data were separately keyed-in from image files of original documents. Over 26,000 of these entries were new relative to the NOAA archive, generally providing data prior to 1920. The stations were then subdivided into 18 regions for the construction of representative time series of each area. There were problems with the basic data, the most difficult with which to deal was the increasing presence of “zero” totals which should have been recorded as “missing.” This and other issues reduce the confidence that the regional time series are representative of true variations and trends, especially for regions with few systematically reporting stations. Interpreting linear trends on time series with infrequent large anomalies of one sign (i.e. heavy snowfall years) and unresolved data issues should be done with caution. For those regions characterized by consistent monitoring and with the most robust statistical reproducibility, we find no statistically significant trends in their periods-of-record (up to 133 years) nor in the most recent 50 years. This result encompasses the main snowfall region of the western slope of the Sierra Nevada Mountains. A study using real, measured accurate data show everything is perfectly fine. Side note: It took a long time for John to get this paper published because of one reviewer who didn’t even understand how snow depth is measured…but who was obviously convinced Christy must be wrong because the results did not fit the AGW narrative. Journal editors MUST start becoming a little more discerning about whether a reviewer’s comments are justified based upon the content of a paper. Of course, that would require an editor to read and understand a paper, and I agree that’s a lot of work for someone who has volunteered their time to become a journal editor. Warming causes more moisture in the air which leads to more extreme precipitation events. This includes more heavy snowstorms in regions where snowfall conditions are favourable. Far from contradicting global warming, record snowfall is predicted by climate models and consistent with our expectation of more extreme precipitation events. A data base that can be reconstructed and cannot be manipulated for personal or political gain show everything is perfectly fine. Well dang! What’s the SUPREME GORON got to say about this little detail? How much did your employer pay for this article? I just read you’re financed to the tune of 90,000/year to write this garbage. Is SHILL the correct terminology? I notice the SF Chronicle article could not just report that everything is normal but had to have someone question the data because it did not fit their expectations. No significant change seems like a meaningful conclusion to me. It’d be interesting to compare this graph, to one of temps in the area. This is yet more empirical data confirming that there has been no effect from carbon dioxide. Even the temperature records do in fact show the same once you understand that there is both a long term trend perhaps over 1,000 years which is still increasing since the Little Ice Age, but now only at a rate of 0.05 deg.C per decade, as well as a superimposed 60 year cycle which will now decrease for the 30 years from 1998 to 2028. The combined effect is level or very slightly declining trends for these 30 years. The maximum in the long term trend could occur within 200 years and should be less than 0.9 degrees C above the current trend line. The point I want to emphasise is that it is not just a matter of low sensitivity to carbon dioxide levels. There is absolutely no warming effect whatsoever. There is however a small cooling effect due to the fact that carbon dioxide does absorb some incoming infra-red radiation from the Sun and send it back to space. Can anybody help me with a question on radiation? I instinctively believe that a cold body can’t transfer heat to a warmer body but it can radiate towads the warmer body. If the radiated wave back from GHGs in the atmosphere can’t be readsorbed and re-emitted by the surface, what does it do? It resonates with the target molecule and is effectively re-emitted rather like being reflected at the speed of light. None of its energy is converted to thermal energy. I prefer to use the term “scattered” in order to avoid implying that it is either reflected (in the true sense of the word) or absorbed – which most people assume means it does some warming. Now, when and why does it resonate? Well, the frequency distribution of a blackbody has a peak which is proportional to absolute temperature. Study carefully the first plot here http://scienceworld.wolfram.com/physics/WiensDisplacementLaw.html and note that the plot for a warmer temperature always envelopes that for a cooler temperature. Hence radiation from a cooler source can only have frequencies which can resonate with those of a warmer body. So all such radiation never leaves thermal energy behind. In contrast, radiation from a warmer source will always have some frequencies (at the right) which cannot resonate with a cooler target. It is the energy in radiation with these frequencies which has to be retained and is thus converted to thermal energy. This is actually necessary for the Second Law of Thermodynamics to apply. Hence spontaneous radiation from a cooler atmosphere cannot add thermal energy to a warmer surface. Since it cannot add thermal energy it cannot either increase the rate of warming of the surface in the morning or slow the rate of cooling on the evening. Herein lies the collapse of the atmospheric radiative greenhouse conjecture. Once upon a time, people took measurements with devices that didn’t require battery back-up and stored the information on a system that is still readable today. We could still learn a lot from the old timers. Thanks, to you or the Doc, for not drawing a straight line through the data. An of course because is is Dr. Christy it must be weaher. Sceptics can never rise to the level of talking about the climate. CO2 is not a Greenhouse Gas that Raises Global temperature. Period! But this is just western slope sierria snowfall, not global. So it can’t be a metric of man-made-global warming! Of course, whenever we have a regional drought, or just about any F5 tornado, the media wets their pants in anticipation of some CAGW hack publically spitting out the weather is due to man-made-global warming. Very funny world we live in. Not that weather is climate, but this year has been very mild. And almost no snow. No heavy snowstorms, no record precipitation. Only unusually mild weather and no snow. I wonder what the newspapers looked like in 1933/4. It looked like the end of snow. Especially in the middle of the dust bowl. Does Gore have any tent show preachers in his ancestry? Mann could even create a downward snowfall hockey stick at 1934 with an upward temperature hockey stick to match – not that he would do so now and ruin his other hockey stick. But I bet you he could. (…) Far from contradicting global warming, record snowfall is predicted by climate models and consistent with our expectation of more extreme precipitation events. Extreme precipitation events like never-ending drought in Australia that will require the building of many large and hugely expensive desalinization plants so the hapless Australians don’t start dying of thirst? Yup, that was predicted. The subsequent massive rainfall, flooding, lake refilling and aquifer recharging that has led to many large and expensive Australian desalinization plants being mothballed and abandoned, finished or unfinished? You and your people expected such an extreme precipitation event? And insisted on building those desal plants anyway? Interesting insight, depressing but not surprising. Doug Cotton, can you explain the increase in measured downward radiation from clouds at night? For example: http://journals.ametsoc.org/doi/pdf/10.1175/1520-0450%282002%29041%3C0734%3ATIOSVA%3E2.0.CO%3B2 in figure 3. If that measurement in that figure is accurate, wouldn’t that decrease the nighttime cooling potential (as explained in the rest of the paper)? I wish more CAGW true believers, like Mr Schwab and Klas, would post comments here. Such erudition is normally found only at Comedy Central. I don’t like the way the San Francisco Chronicle refers to Christy as “a climate change skeptic”. I doubt he’s one iota skeptical that climate changes, it should be “anthropogenic climate change skeptic” or maybe “catastrophic anthropogenic climate change skeptic”. I wonder if it’s just sloppy reporting or intentional subliminal messaging. Isn’t the the temperature record for the US showing no warming and possible cooling? That being the case, why would one expect that there would be significant changes in snowfall? This study is consistent with the view that there is no such thing as GLOBAL warming. To the extent that there may be warming, It is entirely a regional/local phenomena raising regional/local issues which if problematic will requiring regional/local adaption.. The political establishment want to conceal this since it would then be impossible to claim that we are all in it together. If this fact were to be revealed, each country would consider its own interests. Why would a country like Switzerland (which is land locked) be concerned by sea level rise? A country like Canada will benefit from warming. It will increase crop production and will lessen the harshness of their winter and the costs of the fuel they consume in dealing with adverse winter conditions. The UN could exercise no control, if countries started looking at what problems and what benefits so called ‘global’ warm would bring to it. There would be many winners to such a climate change and these countries would not therefore wish to castrate their industrial economy when climate change is actually very good for them. A half eaten cookie found on Christmas morning is consistent with having been visited by Santa Claus. Can you name something that wouldn’t be “consistent with” the CAGW hypothesis? Makes me wonder if there are some good long-term temperature records also “hidden in plain sight” but requiring work to collate. State college ag extension offices? Farmers co-ops? The theory “Warmer air also can hold more water vapour than cold air, so rising temperatures should increase the amount of water vapour available for snow and other precipitation.” is completely independent of the Anthropogenic aspect, the cause is irrelevant. So it would just be GW and as I doubt anyone in their right mind would use a study like this to conclude temperatures are not rising. We have actual direct measurement of global temperatures rising over the last 50 years. I think the idea a reviewer was worried the results “did not fit the AGW narrative” is showing your own bias rather than the reviewers. How do weather stations measure snow depth, aren’t they only measuring snow fall which isn’t the same thing? Further to the point I make in my earlier post, to really illustrate the point. Here in the UK, we have the worst (or at any rate nearly the worst) excess mortality in winter rates in the whole of Europe. The reason for this is threefold, but they inter-relate. They are (i) poor and old housing stock which is damp and not well insulated, (ii) a damp and cool winter climate with much wind-chill, and (iii) low pension income such that old people cannot afford to heat their poor insulated and damp homes to a comfortable temperature. Recent increase in energy costs will exacerbate this problem. Now if there is climate change and if the UK were to warm by a couple of degrees, there would be a significant reduction in winter mortality. This would mean that the average life expectancy in the country would go up by 1 to 2 years. Now if the UK were told, if we have global warming you will live a couple of years longer, but if we want to stop global warming we will have to endure unreliable energy and extremely costly energy, such that an ever increasing number of old people will be unable to heat their homes thereby increasing the winter mortality rate, what would be the reaction. The global cartel would collapse if the regional nature of so called ‘global’ warming was to be revealed to the public. I consider that the regional/localised issue needs to be better communicated. What part of the term ‘measuring stick’ did they not understand? Should they even be a reviewer?? Nighttime temperatures in the study’s six-county region – Fresno, Kings, Madera, Mariposa, Merced and Tulare – have risen more than four degrees Fahrenheit over seven decades, said Christy, who is leading the three-year study. The preoccupation with global change can distract from observable phenomena on a regional level. Given that all parties apparently are willing to accept significant increases in temperature and humidity within the San Joaquin Valley, and given prevailing winds generally to the east (IMO, haven’t checked), one would expect substantial increases in Sierra Nevada snowfall. His current findings should perhaps be seen as a regional test of the currently accepted assumptions relating temperature, humidity, and precipitation. My comment at 06:38 am sounds rather selfish but it is not intended as such. I am a firm believer that we should adapt not mitigate. The reason for this is many fold, but primarily (i) for many climate chage would be advantageous so why deprive the many of that benefit, (ii) for quite a number, climatte change will be neutral, so there is no problem, (iii) for some, climaye change may well cause more problems than benefits. Accordingly, it is likely that the need for adaption will be less than presently claimed. Adaption can be a targeted response focusing on just the problem areas. Rich countries can afford to do their own adaption. Poor countries may not be able to. In which case, the richer countries can help out. In this regard, the costs to the rich country will not be so great. First, much money is spent in overseas aid already and unfortunately most of this is wasted. This could be used more efficiently to target the problem areas. Second, the rich countries could send in their own civil engineering teams thereby creating employment for their own citizens and reducing the unemployment bill. The, they will get tax revenues from their own citizens who are now working. Fourth, it will stimulate their own economies since materials will need to be manufatured and shipped. So there is quite a bit in it for the rich countries such that the expense will not be that large in helping out poor countruies. This also has to be balanced by the economic consequences of mitigation. This is very costly and is and will decimate the economies of the developed countries. If they do not mitigate, they can keep their economies vibrant and hence this too is of much benefit to them and it will more than outweigh the bill that they will have to incur in helping out poor countries that cannot themselves afford the costs of necessary adaption. The economic case greatly favours adaption over mitigation. Christy did protest to the Chronicle reporter the biased reporting style. The theory “Warmer air also can hold more water vapour than cold air, so rising temperatures should increase the amount of water vapour available for snow and other precipitation.” is completely independent of the Anthropogenic aspect, the cause is irrelevant. So it would just be GW and as I doubt anyone in their right mind would use a study like this to conclude temperatures are not rising. The study measured that snowfall neither increased nor decreased. This is not consistent with a theory relating snowfall to temperature if temperatures have in fact increased. Therefore either the theory is wrong or temperatures in the region responsible for precipitation in the Sierras have not changed. Just a thought but in clouds at night as the atmosphere cools there will be water vapor condensing onto cloud droplets and other condensation nuclei. Water condensing gives up latent heat and presumably this can be measured. It would be interesting to see if the same level of downward radiation is visible when temperatures are increasing. Here’s a John Christy- William Norris paper on California surface trends. San Joaquin Valley. In the valley, daytime temps were slightly lower and nighttime temps were significantly higher – probably caused by irrigating the valley and turning desert into agricultural land. So explain why there appears to be no change in snowfall. Cycles, cycles: Sierra and Andean summits will replenish its glaciers. All along the coasts of a nice La Niña. Sorry Al! Far from contradicting global warming, record snowfall is predicted by climate models and consistent with our expectation of more extreme precipitation events. – Now I am confused. Klas which one looks to be the record snowfall consistent with global warming? Was it 1890 or 51-52 as shown on the chart? Why would warmer air with a commensurate increase in moisture cause more extreme precipitation events? -30 degree air is potentially more moist than -40 degree air. 10 degree air is potentially more moist than 0 degree air. 30 degree air is potentially more moist than 29 degree air. My understanding is that it’s the change in temperature that leads to precipitation. So, taken cumulatively, if global temperature is rising it would lead to more moisture being held in the air than at lower temperature, and therefore less precipitation. If global temperature is declining there should be a decline in cumulative moisture potentially held in the air, and therefore more precipitation. Moreover, the more precipitation in total the more likelihood of an extreme precipitation event statistically speaking. Moreover, the more rapid the decline in temperature the more likelihood of an extreme precipitation event as the ability of air to hold moisture drops rapidly. In general the reverse is true for increasing global temperature. Of course local weather is always subject to local temperature changes with both rapid rises and rapid declines in temperature, leading to weather variability. Over the past 100 years of thermometer temp. data it appears that we’ve had both rapid rises and rapid declines of temp. with a slow overall warming trend, so far. There has been no research I’m aware of that can quantify global changes in precipitation events through these rapid increases and decreases in temperature. No, sorry, I’m not buying the “global warming causes extreme precipitation due to higher atmospheric moisture content” argument. A global cooling causes extreme precip. argument is also iffy, but more plausible. I think it’s time to abandon the “global warming causes anything and everything bad” strategy. Generally speaking most climate changes cause roughly equal amounts of good as bad, except when it comes to ice, where it’s almost always good for life when there’s less. But that’s a whole other subject. John 6:35: Dr. Christy is not claiming temperatures are not rising, although it’s widely accepted that they have not risen in the past 15 years. In fact, very few people are claiming temperatures have not risen over the past century and most of those people seem to believe the temperature record has been skewed by UHI. You may resume reciting the AGW narrative now . . .
Actually, this study confirms that the temperatures of present are within the bounds of the Holocene. World wide temps, as presented by acceptable data, show that we are well within the temperatures of the Holocene period. Being that we are in that temperature range, one would expect “climate” to respond accordingly. That is…..our climate is normal, with annual flucuations. DC > Hence radiation from a cooler source can only have frequencies which can resonate with those of a warmer body. This is wrong (or, perhaps more accurately, Not Even Wrong). Whether radiation is absorbed or not has nothing to do with the temperature of the body-that-might-absorb it. It is entirely dependent on the albedo of the body for that wavelength / frequency. In a pure blackbody the albedo is 0 at all wavelengths and all incoming radiation is absorbed. This is basic radiative physics. If you heat up a blackbody enough it will start emitting visible light, but it will still have an albedo of 0 and absorb all incoming radiation (by definition). I’m curious that so few people pick up on DC’s wrongness. He seems to post it in most threads. Do people believe it, or just ignore it? richard verney> Isn’t the the temperature record for the US showing no warming and possible cooling? This says warming, since 1976 (in DJF – but we’re talking about winter snowfall, no?). Or you can see the distribution of trends by month if you like. I imagine someone else will find a suitable period to get a different result. A fair point. Some countries will benefit, others lose. Switzerland doesn’t care about rising seas, but likely cares about loss of snow. > Can you name something that wouldn’t be “consistent with” the CAGW hypothesis? You’d need to define that hypothesis first. You won’t find CAGW in the IPCC reports. The IPCC view of warming, with “noise” of natural variability obscuring the trend sometimes, is consistent with current observations. Including the ocean temperatures? Which makes up 2/3 or the weight of the global record anyway. I completely agree that adaptation is preferable to mitigation. Mitigation implies certainty, that is, you know what is going to happen and you use resouces to lessen the impact. Adaptation means preparation for uncertainty. When I read California State publications describing the impact of climate, there are dire warnings about future climate impacts, scary figures and the like, especiallly in the Executive Summary section. When you read further, there are usually a few paragraphs stating the predictions are uncertain. Who reads that far? Over the last few years I strongly advocated adaptation over mitigation, even when I was the only person in the room making the case for it. It made no sense to blindly go along with standard language supporting CAGW. We were responsible for recommending policy positions for a state-wide organization. These positions would support decision making for numerous public agencies large and small across the state. It would have been irresponsible to advocate spending millions of dollars on projects that could prepare us for the exact opposite of what might actually occur. When you have an opportunity to speak up, do it. You alone can make a difference. I have a 4″ diameter standard issue gauge from which I remove the funnel and calibrated cylinder when things get below freezing. I weigh it on a .1gm resolution balance beam scale where 2gm=1″ of water. Then I take a core of the fresh snow and weigh it, and measure the depth with a ruler. Then a core is taken weekly of the total snow depth, weighed and the depth is measured. Actually, when taken on a clmatic scale of a century, the temps of the USA have been flat. Yes, warmed after 1973 or so, but again, it was much warmer than that temp during the early 20th Century. On a century mean, the temperature has been flat with swings to the upside and swings to the downside, which of course, is to be expected as neither warmth nor cold is a stationary function of our dynamic climate. I can only recommend to you that you think climate instead of a few years of weather as climate. As far as DC?…..well…..he is free to post. 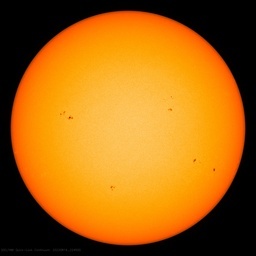 The beauty of this site is that anyone is free to post, whether you are a AGW alarmist of a Ice Age alarmist. Ya see, folks who come here have a brain and we do not need someone else to tell us how to think and are not afraid of being exposed to all sides of an arguement. I understand now that you have something to do with Wikipedia. I have tried to correct blatant errors on that site, and now I understand why the updates are not posted. I have lost all confidence in that site as a source of credible information as there are so many inuendoes and flat out errors that never seem to get corrected. Maybe you can infuence some to fix this? “I had to manually input 100,000 station-months of data.” – Ouch! All that work, and not even a hockey stick to show for it, just … pretty much what the null hypothesis would suggest. Good work, and a darn sight more believable than Just Another Model. Perhaps we should have a whip-round to buy you a new keyboard. Camburn, Connolley is the censor of honest scientific debate at Wikipedia. He is the reason Wiki is unreliable regarding any information between cosmology and quantum mechanics. Everything else is tainted. You are asking him to change his nature, and allow both sides of the debate. That’s like the frog asking the scorpion to not bite him. And no mention of the PDO/NPI ? OT but…….ya mean that Mr. Connolley decides what Wiki shows in regards to climate science etc? I have tried to up date their site, and have papers as a reference, but I have never gotten the site updated. So……….if he doesn’t like the findings of published research, somehow he has the power to not let it be part of the encyclopdia???????? Are you really sure about this? I mean, some of his writings here show how non-informed he is, but……..call me surprised is all I can say. Unless, of course, your assumption is incorrect and there has been NO meaningful warming–at least not enough to impact the evaporation/precipitation balance (the SIerras being a typical example, albeit not a compilation of all snow-accumulating areas). For several years (at the minimum) we here in Reno, NV, at the eastern edge of the Sierra, have been constantly bombarded with cries of impending doom when it will snow no more. Endless story after story in the local rags are meant to scare us into believing that CO2 is dooming the Sierra with drought and will kill all its creatures. Never mind that the Great Basin region periodically endures decade long droughts with some regularity,,,, and we’re enjoying a period of non-drought at the moment. (see tree stumps at the bottom of Lake Tahoe for clarification). If this dry/no snow doom and gloom is true, why then are the ski resorts preparing to spend millionns and millions of dollars on improvements, including new chair lifts, restaurants, and lodging facilities??? It’s because the resort owners aren’t swallowing this drivel. What do they know that we don’t? The latest exercise is to convince the Olympic powers that be to bring the Winter Games to Tahoe in 2022. Why on earth would they propose that if……SNOW IN THE SIERRA WILL BE A THING OF THE PAST??? The above is taken from paragraph 13 of Mr Christy’s writings and I think it may be a mistake, at least according to http://www.ems.psu.edu/~fraser/Bad/BadClouds.hmtl. I would just like to know that what I read is correct. Keep up the good work Anthony. Those reading here do not have unlimited time. Therefore, we much appreciate comments that make sense. The material in this post was authored by John Christy, the Alabama state climatologist. It is doubtful that the Great State of Alabama reimburses him on an article by article basis. What “the tune of 90,000/year” means is a mystery. Do you mean dollars per year – not tunes? Thought so. So then, just who’s earning that amount of money? Here’s an example. About 10 years ago a small amount of money was available at the university where my wife taught. She filled out a request form and a $300 digital storage device was purchased by the computer science department in whose classrooms she taught. Do you think she should have claimed that $300 as personal income on a regular basis, year after year? Is she now $3,000 richer? Not even the IRS would buy into your shrill screed. So, for your comment you are awarded the Shrill Screed Award. Again OT………thank you for the link. All i can say is…..what qualifications would allow Mr. Connollay to be a site admistrator? It is most obvious from his posts on WUWT that he knows very little about climate and its interactions, workings etc. Do they just let any old person be a censur per se at Wiki? True enough. The ocean temperatures did increase along with the air over the last 100 years as we came out of the LIA, but they also have not risen over the last 15 years. And am I correct in assuming that if we get to17 years of no change that CAGW will be over? Camburn> Actually, when taken on a clmatic scale of a century, the temps of the USA have been flat. You seem to have made that up. Notice that I gave you a link to actual data, and you just provided words, which you didn’t bother check? It isn’t that hard to do, e.g. http://epa.gov/climatechange/science/recenttc.html shows that you’re wrong. Well, if you tried to insert the falsehood you’ve used here, I’d hope that it was removed. Feel free to tell us what page you updated, and with what, then we can all judge whether you were correctly reverted or not. I’m glad you bring that up. Its rubbish. It is a regrettable way to state it (your link, corrected). Air doesn’t “hold” water vapour. But (for the level of discussion we’re having here) its close enough. BadClouds.html will explain the fine details, if you care. …AND HEAVY SNOW IN THE MOUNTAINS. THE SNOW IS SOMEWHAT HEAVIER THAN EARLIER FORECAST…WITH 20 INCHES SO FAR AT HURRICANE RIDGE IN THE OLYMPICS…18 INCHES AT MOUNT BAKER…AND A FOOT OR SO IN THE PASSES AND AT PARADISE. HAVE ALREADY UPGRADED TO A WARNING FOR THE OLYMPICS. IT LOOKS LIKE THIS STORM WILL BE ONE OF THE BIGGEST SNOW PRODUCERS OF THE WINTER.
. . . has a list of web cams – orange text. The link is to the “East” camera and it brings up a postage stamp size photo. Then you have to click on the “View Webcam” [orange text in the box] to get the current view. An updated photo comes in every few minutes. Warming causes more moisture in the air which leads to more extreme precipitation events. This includes more heavy snowstorms in regions where snowfall conditions are favourable. Not according to AGW scientist David Vitner it doesn’t. Independent Newspaper, UK – “snow a thing of the past”. Global Warming causes less snow – unless it is snowing heavily and then it apparently causes more snow. Now we all experienced this ‘heads we win, tails you lose’ trick, but most of us left it behind in the playground. It looks like the AGW crowd are simply big kids that have never grown up. For the record, here is a link to William M. Connolley’s deletion log on Wikipedia. It appears that he lost some admin privileges in 2009. …”The latest exercise is to convince the Olympic powers that be to bring the Winter Games to Tahoe in 2022. Why on earth would they propose that if……SNOW IN THE SIERRA WILL BE A THING OF THE PAST??? DJ: That would a terrific choice for hosting the Winter Olympics, only it is too logical for the Oly. committee members. But, I wish Reno and Tahoe communities the best of luck in their efforts! They could probably run the luge slide all the way to Sacremento; now that would be some ride! Really!? Show us any references to that official prediction that predate the recent years of record snowfall. CAGW climate predictions have consistently been adjusted to match after record events ocurred; with the possible exception of higher temperatures, and there are darn few of them. Records that beat all previous recorded weather events are darn few. …SF Chronicle article could not just report that everything is normal but had to have someone question the data because it did not fit their expectations. Good catch R. Barker! What I want to know, does this mean they’re going to redefine “amateur” so they can keep out these records or do they plan to trash all manually collected records in their rush to censor science? Excellent article Dr. Christy!! In my career, I’ve occasionally had to input thousands of data entries. My mind boggles, and my hand cramps, at the thought of entering 100,000 data points and then my eyes cross and water at the thought of double checking them. You’ve been verry busy! Thank you for your generous offer to correct Wiki. I have sent you an e-mail and look forward to your reply. 1. GW makes the world warmer; and this (to first order) makes for more WV and hence more precipitation. 2. In areas well below zero, the snow remains snow, even if it warms. But with more WV, there is more precipitation, hence more snow. 3. In areas near zero oC, some of the precipitation becomes rain now snow, so there is less snow (and some of the snow on the ground melts, obviously). This, roughly, is why Greenland loses mass under moderate GW but Antarctica gains. That is all to first order. There will, obviously enough, be areas where moisture decreases not increases. My mother was born in the year where the blue curve is at a minimum, while I was born at the peak of the blue curve in the 1940s. As she bundled us up in layers of clothing and mittens and shoved us out the door into the snow and cold, she would say “Quite complaining. It was much colder and snowier when I was a kid.” She often would hold her hand at her waist and tell us how she had to walk 2 miles to 1st grade in snow so deep – all uphill. Both true. Then she would tell us it was uphill on the way home, too. My older sister would then say that Mom’s waist wasn’t as high at age 6 as at age 40 and the part of the story about “up-hill both ways” was a fabrication. That made a skeptic out of me. Thanks, though, for upholding mom’s argument — She was spot on about that temperature difference. there was a clear trend of lower minimums during the warming from ca 1910 to 1940 and a clear trend of higher minima during the warming from ca 1977 to 2007. Clearly warming from CO2 affects snaowfall differently than warming from unknown causes. A big mistake that is made is thinking that local conditions in California have a high degree of influence as the cause of high or low snowfall years. Much greater correlation is found in temperatures of the Pacific Ocean in regions many thousands of miles away in the central and western pacific. It is here that moisture either is or isn’t picked up by storm systems and brought to California. Those same warm areas of the Pacific, far from California, also have a high degree of correlation with the jet stream tracks which will dictate the path of storms as the come in, or don’t come in from the Pacific. This year, for example, California has seen less snow but Alaska has gotten dumped on. All of that moisture (what CA didn’t get and AK did) would come, or did come from the Pacific. The jet stream brought that moisture to Alaska and California has been largely dry so far. Here is a source from the eastern slopes of the Sierras that goes back to 1968. I entered this into an excel spreadsheet for my own entertainment a year ago and no trend there either. Oh OH……One might expect more snowfall in the near future. I was looking at temperatures, and this surprised me. If global warming does increase snowfall, and snowfall feeds glaciers. Then glaciers should be getting larger/thicker as a result of global warming – certainly in their upper reaches. But apparently they are decreasing – and this too is due to global warming. I’m getting confused. A) I’m curious that so few people pick up on DC’s wrongness. He seems to post it in most threads. Do people believe it, or just ignore it? B) This says warming, since 1976. C) Including the ocean temperatures? Which makes up 2/3 or the weight of the global record anyway. A – Just ignore it. B – Interesting that you choose your start year in the deepest part of a cooling so strong that there was concern at the time that it was the start of the next ice age. It’s also a very different time period from the original piece, which starts in 1880. C – The ocean temperature measurements were so sparse before ARGO that ascribing any warming or cooling to the oceans is nothing but guesswork (and I’m being kind in using that term). The atmospheric temperatures above the oceans is guesswork before satellites. In any case, the original post was about the Sierras. As I pointed out earlier, the lack of change in snowfall in the Sierras means that either the temperature – snowfall theory is wrong or the temperatures that affect the snowfall in the Sierras hasn’t changed. I’m surprised to see you say that; the plot you link to doesn’t show it, and the saem plot with the trend added indicates that it is warmer now. Check the source. I just posted what was available. Feel free to do your research and find a contrary trend, if you can. > Then glaciers should be getting larger/thicker as a result of global warming – certainly in their upper reaches. But apparently they are decreasing – and this too is due to global warming. I’m getting confused. Yes, I think you are. You could try reading some science, it might help. Dr. Christy: Thank you for your effort in bringing old records to light. There is another set of California records going back to 1769 that you might consider, related to the “Lynch Index” that was in the California Weather Sumary CD. Jim Goodridge sent me a California Weather CD in 2002 that contained the file “Lynch Index.xls” that tabulates Southern California rainfall from 1769-1770 to 1999-2000. The CA Weather CD updated to 2009 does not appear to have that file. The state climatologist at http://www.water.ca.gov/floodmgmt/hafoo/csc/ might provide some information. The Lynch Index spreadsheet correlates the index from the 1931 report with the rainfall record for Los Angeles. The index stops at 1930, and DWR did an extension to 2000. I did a linear regression analysis on the data, and also an extension (ref Bedient & Huber) of the data to present. Slopes of the regression lines are close to zero. Moderators: The following text is verbatim from the spreadsheet. Truncate if it does not fit within your format and perhaps I can provide the information another way. Doug Cotton, can you explain the increase in measured downward radiation from clouds at night? For example: http://journals.ametsoc.org/doi/pdf/10.1175/1520-0450%282002%29041%3C0734%3ATIOSVA%3E2.0.CO%3B2 in figure 3. Probably due to increased water vapour – seems pretty obvious to me. If that measurement in that figure is accurate, wouldn’t that decrease the nighttime cooling potential (as explained in the rest of the paper)? No for the reasons explained in my post above. The paper makes incorrect conjectures about the effect of radiation from a cooler source because, if such were to slow the rate of cooling of a warmer surface, then it would be violating the Second Law of Thermodynamics. The authors do not appear to be aware of some of the basics of physics and, like you, have been misguided by those who promulgate the greenhouse hoax. It would be appreciated if you could read my posts and try to understand my points before responding, as you have a tendency not to do so in numerous responses you have made to my posts of other forums and here, in all of which you merely quote biased papers which are not based on correct physics. Look at the anomoly in my linked post. We are colder now than in 1945, in fact, colder now even than in 1950. This is indisputable. Yes, the long term trend is up, that is also indisputeable, but the 2011 recorded anamoly is below 1945, and potentially through the early 50’s anamoly.. I had not realized we had cooled below the late 1940’s, early 1950’s level. If we chose to debate him on every thread then every thread will be the same. But despite the tediousness of reading it all, I appreciate the efforts of yourself, Joel Shore, R. Gates and others to explain things to Mr. Cotton. In the other direction, Mr Cotton makes the rest of us reexamine what we believe to be true. We could have some concepts wrong. It seems to me that a lot of that condensation in clouds is around freezing, and the clear sky temperature is -20 or -30C, but it’s probably a bit more complicated than that. R Gates according to you the snow record is then showing no change in ocean temperature for over 100 years, so no Increase in temperature for 100 plus years! The quality of the data prior to ARGO makes the error bars so large that one can not say with any degree of certainty what the temps of the oceans were 100 years ago. There have been too many changes……buckets to XBT’s to different XBT’s…to……one only wonders. The ocean temps prior to 2004 have very little statistical meaning. And of course the fact that relative humidity appears to be dropping might also have some bearing. The media is showing its bias again. What else is new? It’s pretty hard not to notice that whenever the media publishes anything on global warming that disagrees with the CAGW scare that the author gets “climate skeptic” attached to his name. But when they publish anything that does agree with the CAGW scare, “climate alarmist” is never attached to the author’s name. Shows that I don’t understand what using magnitude on those graphs means. And how foolish I now appear…..oh well, not the 1st time. It really doesn’t matter what temperature the water is at when it condenses or freezes it will always give up the latent heat of state change. Stefan Boltzmann does not apply to latent heat output. That’s what your side is saying NOW, after their original predictions of decreased snowfall failed to pan out. Reviewer not sure about measuring snow depth? Ever heard of a marked stick in the ground? The consistancy over time beats the heck out of SSTs that used buckets, intake water, etc. (BA… Before Argo) or tree rings. I’d say Christy has reasonable data to work with to come up with those results. Well my eyeball-ometer says a very slight negative trend, but I am guessing not statistically significant. I don’t think thus kind of study proves very much. 1. There is a very vague claim of what climate models are supposed to say. 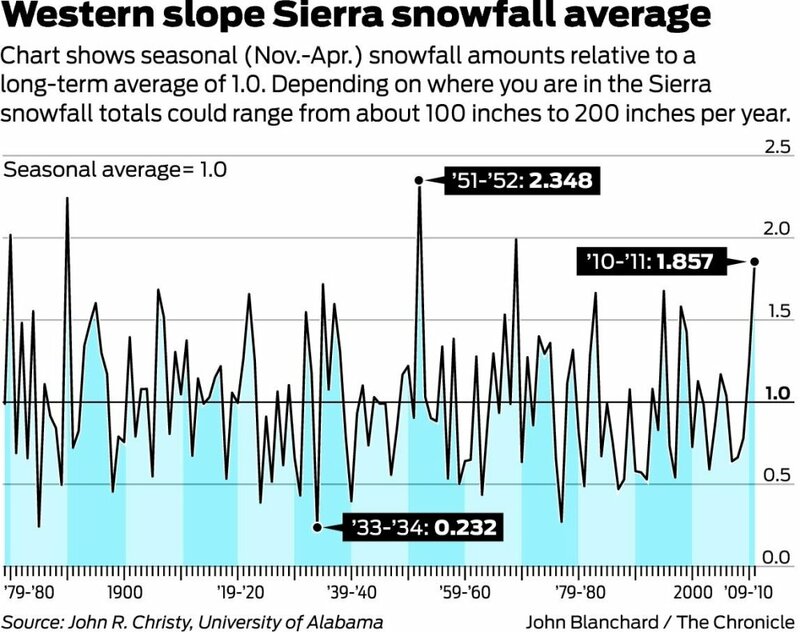 I am betting that the climate models or climate scientists in general are NOT actually claiming that we should be seeing significant reductions in Sierra snow falls. 2. The effect of higher temperatures on snow is not simple. In general it is expected that the snow line will move up and the snow thickness will increase with changes in the degree of compaction also complicating things. 3. We can expect different effects at different locations. Parts of the Sierras will behave differently from the whole and from the rest if the USA. 4. Time is a factor. Warming has barely begun. Predictions about seriously reduced snow in the Sierras may refer to 50 years from now. So trying to make judgements based on the last 50 years is not valid. The effect of higher temperatures on snow is not simple. Actually, quite the contrary, the record shows the highly variable nature of surface temperature in he regions of the central and western Pacific that are linked to providing the energy and moisture that eventually finds its way to CA. You may want to check your graph again. This is wrong (or, perhaps more accurately, Not Even Wrong). Whether radiation is absorbed or not has nothing to do with the temperature of the body-that-might-absorb it. No it is you who is mistaken William. Go back and read in any physics textbook why the Second Law of Thermodynamics would be violated if any radiation “beam” from any cooler point transferred thermal energy to any warmer point at any time. Mr Connely, you know 1976 was the bottom of the cylical ocean driven cooling from the prior 1940s warm period. Please, at a minimum, choose a sixty year time frame and then your comments may be cogent. …The material in this post was authored by John Christy, the Alabama state climatologist. It is doubtful that the Great State of Alabama reimburses him on an article by article basis. It is common for universities (sometimes supported by funds from central government) to pay the department on a per-paper basis. That sum is usually divided into two portions, on of which (perhaps 30%) goes to further the research of the authors. In this way publication of results is appreciated and encouraged. The authors cannot have the money themselves in most cases – i.e. to spend on skiing vacations in the Sierras’ the non-shrinking snow pack. In South Africa the universities gets ZAR75,000 per paper (to the Department from the federal gov’t) with up to 1/2 going to the author(s) for further their research. This portion might be ZAR20,000 depending on the institutional rules. None of it is personal income. Prolific Departments doing high quality work can build considerable programmes in this way. This has been said for at least 20 years. Please re-read 1st assessment report chapter 7-2 and tell me in what way that is different from what I wrote! (and FAQ 3.2 in the most recent report) What I wrote is not new in any way; However, it seems to take forever to communicate. Well the message about the non-intuitive relationship between global warming and snow has been around for 10-20 years. So it’s old news. Apparently you missed it. If people want to quote mine , fine go ahead. But remember that I know what you guys are like and so I fact check on a regular basis. Six years down. Fourteen to go. I haven’t sold my coat. Well that was a wrong prediction too. Here in UK we have had our third snowy winter in succession. And if the Met Office get “caught-out” next year as well, we’ll have to give up on them. I’m beginning to give up on them already. If you heat up a blackbody enough it will start emitting visible light, but it will still have an albedo of 0 and absorb all incoming radiation. If this were true, William, then the Sun would absorb radiation coming back to it from the Earth and, however small it might be, you are effectively say that such backradiation would heat the Sun just a little more, just like you say backradiation from a colder atmosphere would help the Earth’s surface to warm at a faster rate every sunny morning. .
Well, I’m sorry but there is no “just a little” allowable in the Second Law of Thermodynamics. Backradiation from the relatively cold Earth to the Sun cannot warm the Sun even just a little. But while speaking of backradiation, have you ever even considered the backradiation by carbon dioxide as it sends back to space some of the infra-red radiation which makes up about half the Sun’s spectrum? Surely that would be a cooling effect. Please try to get get your physics right, William, even if you haven’t been studying and teaching it for over 50 years as I have. And don’t misquote your “definitions” without realising that nothing acts like a perfect blackbody unless it is totally insulated (in space for example) and in equilibrium at absolute zero (0 K) temperature. All measurements of absorptivity are usually carried out with radiation from a warmer source than the cold atmosphere, but even so, what is not absorbed when making such measurements actually comes from such lower frequency radiation. The Earth’s surface does not act anything like a true blackbody because it is not insulated by a long shot as it loses more than half its thermal energy by diffusion, conduction, evaporation and chemical processes. This leaves far less energy to be radiated, especially when the other processes bring about close thermal equilibrium between the surface and the first millimetre of the air. Apply S-B correctly in such circumstances and you get very little radiation. So those calculations which say the Earth’s surface would have been 255 K without water vapour and things like carbon dioxide are absolute garbage and not even remotely accurate. Only the whole Earth-plus-atmosphere system acts something like a true blackbody, so the 255 K is a mean somewhere up in the atmosphere. The natural lapse rate dictates that the surface must be warmer than the mean, not the trace gases and water vapour. Christy has selected a singular piece of evidence, not looking at the whole set of available data, which is unfortunate. Western US snowpack is reducing with ongoing climate change, and the effects on water availability are not going to be pleasant. Has anyone pointed out that annual snowfall has decreased? That is, the main changes in snowfall have occurred during fall and spring. Much less snow in fall and spring. Not surprisingly, it still snows in the mountains during winter. Anyone in their right mind would use this study to conclude that snow pack averages have remained average. And then you go barking off on the temperature rabbit trail. They actually measure the density or water content. Imagine that. Really? We must have missed something…..
Ain’t necessarily so; regardless, or irregardless as the case may be, of what WE expect of “””more extreme””” precipitation events. True; warming OF THE AIR permits the air to hold more water; so for the same water content, the relative humidity goes down if the AIR Temperature goes up. That would generally result in an extreme reduction of clouds and precipitation, which require high relative humidities to occur. Now warming of the SURFACE, aka the OCEAN would result in an increased evaporation, and an increased precipitation, since evap and precip must balance, but that would only occur (precip)_ after a dela to bring the atmospheric water up to par. Answer (observed) a one deg C rise in mean global surface Temperature results in a 7% increase in evaporation, atmospheric water content, and precipitation (globally). Models differ by as much as a factor of seven (times less). Planet earth ignores the computer models, and goes with the Wentz observations. Sometimes the 7% increase in precipitation is accompanied by an increase in (preciptable) clouds (what a concept). This increase in cloud cover by 7% maybe, is likely to result in a sizeable reduction of incoming solar energy captured by the eazrth, which might result at times in cooling. The result could be extreme cooling. KR, I think you meant unpleasent. You and Lazy are simply wrong. There is no world wide, or N.H. wide , or western US trend in declining snow cover, unless one cherry picks the start and stop carefully. http://www.real-science.com/snow-cover-big-global-warming-lie Please note that if one picks the last ten years the INCREASE has been substanial at all snow elevations in the NH. So Lazy, the “ocassional” snow has been pretty consistent, no? Additionaly KR, the biggest decline is resivors is due to the increase in usage. Now remove the CO2 mankind has produced and we would need 10 to 15% more water, just to grow the same amont of fodd we currently have. The same is true of extreme weather events of all kinds, no global trents outside of normal short term flux. David – Have you fitted a trend to the data you linked to? If so, you would see a decline. I would suggest actually looking at the literature. [SNIP: Anthony Watts has made public statements substantially at variance with your assertion, which is a very good example of an ad hominem argument. Don’t do it again. -REP] The sources I posted came from a simple Google Scholar “snowpack western us” search. I find it, well, curious that Christy has selected one of the few areas in the Western US that has had steady snowpack, while the majority of the Western US has seen decline over the last 100 years. That’s cherry-picking – either poorly informed or deceptive. Since 1916? And also it then proceeds to say that increases have ‘offset this loss’? What would happen I wonder if the weather of the last 6 years were added to the paper? You will note that the research you are criticizing is based on actual recorded observations they are not opinion or software code modeling a 1 April SWE. If you have better conflicting actual recorded observations then feel free to produce them – that is science. Regarding snow extent: Mid-winter extent is not the most telling metric, snow volume (harder to measure) is. For the purposes of water supply, the duration of the snowpack is critical – if it declines, so does water availability. That data shows is a steady decline in spring extent over the last 40 years – the snow is melting earlier. That holds for North America, Eurasia, and the Northern Hemisphere as a whole. And yes, those are “actual recorded observations” from the same source. The persistence of snowpack in certain locations (such as the Sierras) is the exception, not the rule. I also noticed your fail to address the other statements I made concerning the benefits of CO2 and the other disaster prediction fails of CAGW. “Now remove the CO2 mankind has produced and we would need 10 to 15% ,MORE water and land, just to grow the same amont of food we currently have. The same failure is apparent in other CAGW concerning extreme weather events of all kinds, NO global trents outside of normal short term flux. The spring extent decline appears to account for much of the total extend decline in the 12-month running mean. Please note that despite a low in 1990 (and one before that in 1968), the declining spring extent continues through the present – it certainly doesn’t stop in the 1980’s. Again, the persistence of snowpack in certain locations (such as the Sierras) is the exception, not the rule. I would consider your “CO2 is plant food” sideline as off topic for a snowpack discussion. The spring extent decline appears to account for much of the total extend decline in the 12-month running mean. Please note that despite a low in 1990 (and one before that in 1968), the declining spring extent continues through the present – it certainly doesn’t stop in the 1980′s. K.R. a non problamatic decline in spring time snow pack is indeed seen, however your sentance, ” the persistence of SNOWPACK in certain locations (such as the Sierras) is the exception, not the rule.”” is certainly not true as the N.H. snowpack has increased steadily for the last eleven years. Clearly the IPCC link I presented talked about an overall decline in NH snowpack going into the future. However, this was after ten to fifteen years of declining NH snow pack, (Prophets of the past) Five year after this forecast of declining snow pack, note not “spring” time snow pack, the trend reversed for the next eleven years. Is there a 60 year cycle in the data? David – The NH snowpack has not increased. Current snowpack reductions are backed up by observed extent, microwave sounding of depth, and measurements of stream runoff levels. The 1000 year reconstruction was generated from tree-ring data; but whether you trust that or not (many here appear not to) the current decline is supported by basic observations. Sustained snowpack in some regions (like the Sierras) simply does not tell the whole story. 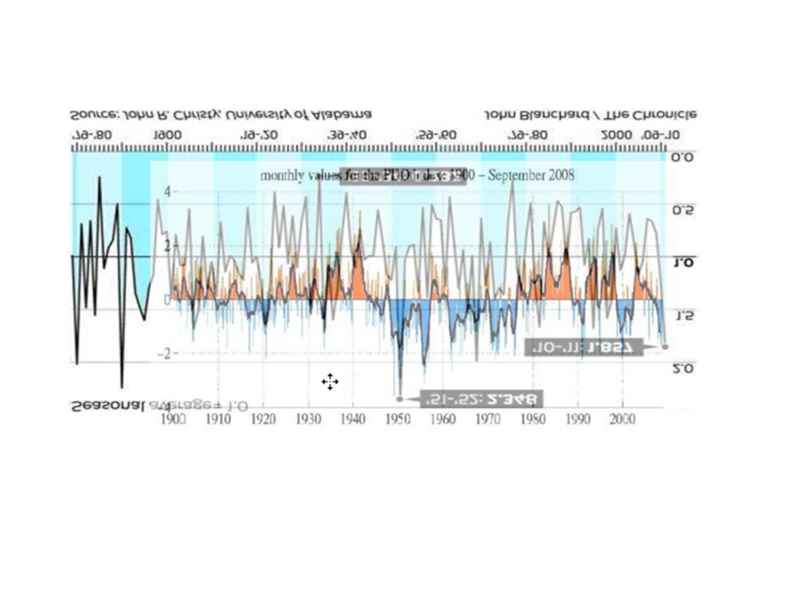 All true as is easy to see by the chart here…http://www.real-science.com/snow-cover-big-global-warming-lie while alarmist paragraphs in supposed scientific papers are not meaningful. David – If you feel that actual analysis is not meaningful, there’s little I can say to you. Again, the data shows (see for example Gan 2009, http://adsabs.harvard.edu/abs/2009EGUGA..11.2058G) that the Western US snowpack is decreasing in about 3x as many areas as increasing – hence a steady decline in total snowpack over the last 30 years; about 10-13cm decrease in depth over that time. Selecting an area such as the Sierras where snowpack is not decreasing, then claiming that all of the Rockies follow that pattern – that’s cherry-picking. Especially when the entirety of the data indicates the opposite – that total snowpack is decreasing, correlated far more with rising temperatures than with precipitation changes. But again, if you feel actual analysis, actual measurements, etc., are “alarmist”, you’re not going to be convinced. I (IMO) just cannot see that as a rational decision.